SUVs could fall on either of two extremes: a wingman to the great outdoors, or a reliable family car. This is where the new Isuzu mu-X strikes a balance and lands smack in the middle. It can haul your brood on family days, but it’s still equally and every bit be the perfect trooper-on-wheels for weekend adventures. We all know of its brawny style and functional design from the predecessor model, but this new release promises even better features for a fun ride anytime, anywhere. The seven-seater Isuzu mu-X now runs on a 3.0L displacement, with a maximum torque of 380Nm @1,800-2200rpm, which provides more hatak power to take you uphill smoothly even when it’s at full capacity. 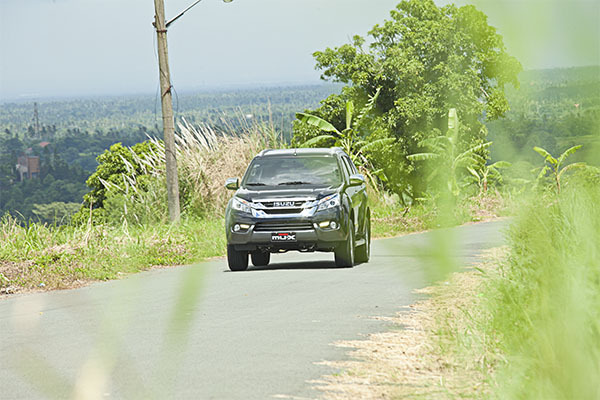 While many SUVs in the market sell for fuel-efficiency and affordability for its diesel engines, the Isuzu mu-X banks more as a silent road rider. Also, you get less bounce with its independent double wishbone suspension with coil spring and stabilizer, a huge plus when you plan to take your date on rough off-road. That means you won’t mind more time behind the wheel while your lady passenger sits comfortably beside you. Everybody wins. We know that with great (engine) power comes great responsibility, and the Isuzu mu-X has the safety department all covered for the vigilant wheelman in you. The new daytime running lights (DRL) feature provides better eyes on the road, and improves your visibility to other drivers. The built-in anti-lock brake system (ABS) and traction control system (TCS) are essential in crash avoidance when just pounding a foot on the brake pedal won’t save you. Now, for the fun part: enjoy the seven-inch infotainment touchscreen neatly meshed on the dash for playing audio-visual man-materials, or the 10-inch roof-mounted monitor if you decide to have some backseat fun. 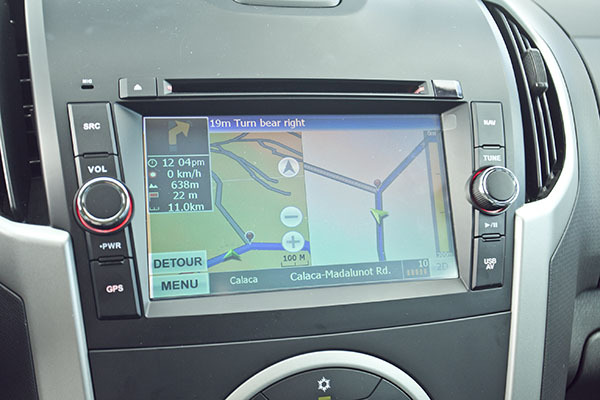 All these are just among the many cool, functional, and safety features every motorist deserves. 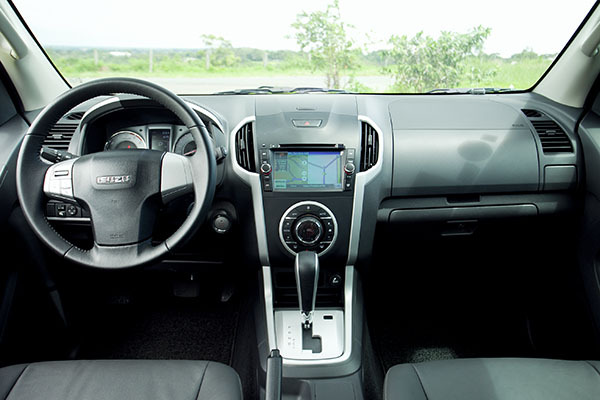 All in all, the Isuzu mu-X proves to be a stalwart for a worry-free drive in the city, or a bold cruise out of town. It’s a powerful machine that’s great-looking to boot. Whether you’re a family man or single and swingin’, the Isuzu mu-X’s mix of style, function, undeniable machismo make it a true keeper.